Given 2019's uncertainty, great financial advice has never been more important. Our 2019 Guide To The UK's Top Rated Financial Advisers is a year-long campaign. It will reach millions through print and digital channels and will build public confidence in advice. If you missed the first part of the campaign in The Times, you can download a copy here! Adviser? Book a call to get involved! Why are the advisers being featured? What checks have they passed? To say I’m absolutely delighted to have achieved such an accolade is an understatement. It just goes to show what hard work, determination and most importantly going the extra mile to ensure you do the best job you possibly can for clients results in. Really, really pleased to have qualified as one of VouchedFor's top UK Rated Financial Advisers! We are always trying to improve on how we work and getting feedback from our clients really helps us to achieve this. It’s so nice to be recognised for the work I am doing, the main reason I decided to go self employed was so I could offer my clients excellent customer service. I’m so excited to announce I will be listed in The Times 2019 Guide to the best Financial Advisers! This is all thanks to my wonderful clients and the reviews they have given for the service and mortgage advice I offer. What are Top Rated advisers saying? 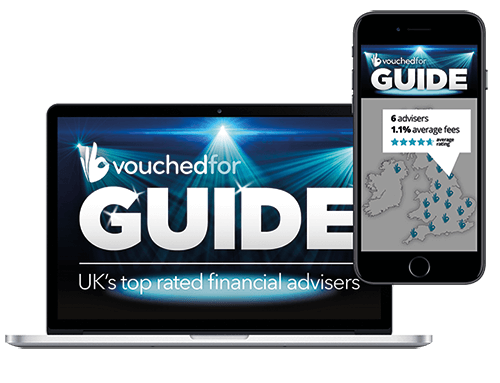 Top rated advisers will also feature in the digital, interactive guide, going live in April 2019. This will be live across our network of media partners such as the FT, Telegraph and This is Money from April-December 2019. 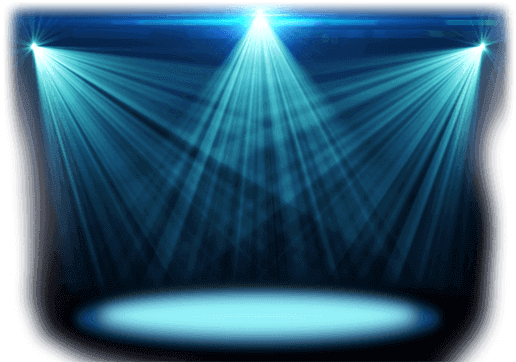 Top rated advisers get free, VIP access to a series of events across the UK. The events will be focussed on how advisers can build and showcase their reputation, reassuring consumers and generating more, great client outcomes in the process. Top rated advisers receive a series of tools to build confidence with prospective clients . These include a personalised 2 page report, detailing the adviser's rating, reviews and all the checks that you have passed. Plus a 'Top Rated 2019' badge to add to their VouchedFor profile. How are we showcasing great advisers? 16 page print supplement in The Times on the 23rd February 2019. As well as a list of the UK's top rated financial and mortgage advisers, the print guide includes editorial content, demystifying the advice landscape and helping people get the help they need. VouchedFor's mission has always been to help consumers get access to the best advice for them. We do this using over 105,000 verified client reviews and extensive adviser checks, which provide powerful, independent validation of the great work many advisers are doing for their clients. As we head into 2019, according to FCA research released in August 2018* 18.2m Brits who could benefit from financial advice have not yet accessed it. 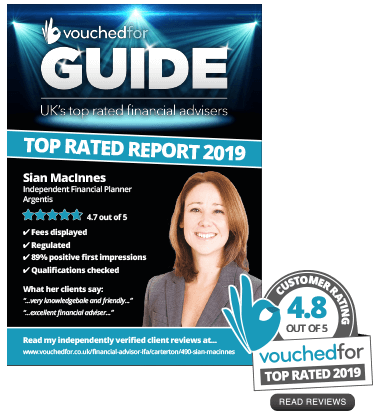 VouchedFor's 2019 Guide will demystify the advice process and shine a light on those financial advisers we know are consistently doing an excellent job for their clients. The ultimate goal being to deliver more, great outcomes for those seeking advice. We reserve the right to change the content, date or format of the Ultimate Guide. Inclusion in Ultimate Guide promotional material remains entirely at the discretion of VouchedFor and we cannot accept liability for any loss of revenue as a result of not being listed.